The EGA is seeking engaged residents to join the 11 member EGA Board of Directors for the 2018-2019 year. We have had a number of retirements this year and are hoping to fill the empty positions with new neighbors to reinvigorate the organization with fresh ideas and perspectives. The time commitment is minimal, with the Board typically meeting for one hour the first Monday of every month at 6:30pm. If you would like to volunteer to help build community, improve our neighborhood and keep your neighborhood organization going strong into the future, we encourage you to volunteer! You can apply by submitting your name in the form below. 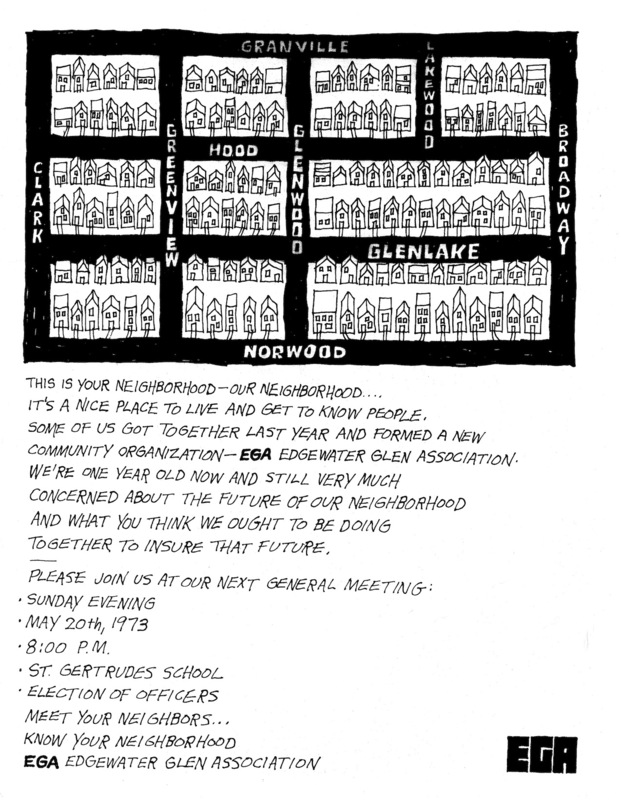 The EGA Board Member election is at the Garden Walk on July 8th. Submissions are due by June 15th. Note: To be eligible to run you must be an EGA area resident and paid EGA member. You can become a member or renew your $10.00 EGA membership online in the right-hand sidebar column. ← Betty A. Barclay Dedication at the Edgewater Branch Library, Saturday, April 28th at 12 p.m.